This is special effects artist Rick Baker sporting an insanely cool Frankenstein's Monster costume that he created! The costume was made for an event to celebrate the launch of M.A.C. 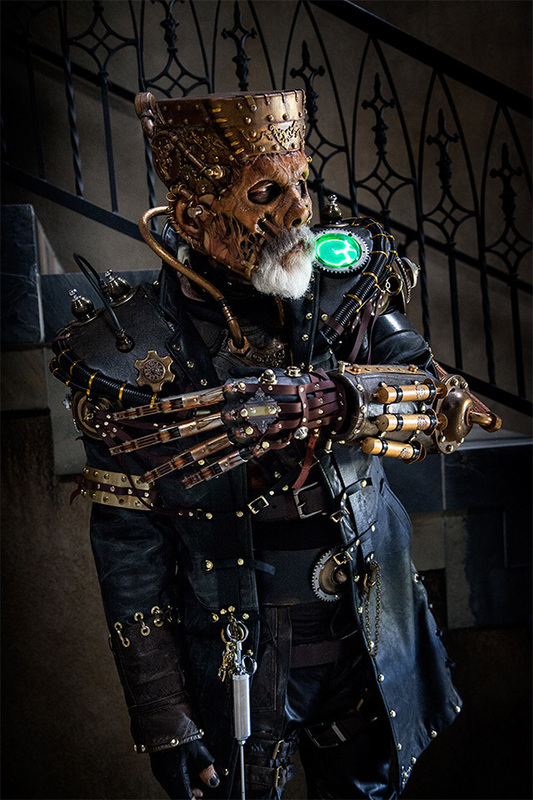 Cosmetics’ new Rick Baker Halloween make-up collection. Baker and his family hosted an ghoul-aganza in conjunction with the company. The detail on these costumes are amazing. Baker is a crazy talented man.